Respected umbrella group of 50 major US Jewish organizations rejects far left group in secret ballot. 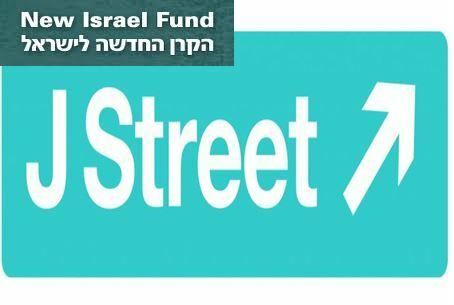 J Street, the controversial lobby group focusing on Israel, has been overwhelmingly rejected for admission to America’s most prestigious and mainstream Jewish body, the Conference of Presidents of Major American Jewish Organizations. The secret ballots, once counted, yielded only 17 votes in favor of admitting J Street to the Conference of Presidents and 22 against, with three abstentions, according to an informed source not authorized to speak for her organization. Hence, J Street did not even achieve a simple majority. Admission to the umbrella group of 50 leading Jewish organizations would have required 33 of 50 voting member groups - nearly twice the number J Street garnered. Conversely, late on the night before the vote, Zionist Organization of America president Mort Klein told a reporter that he was working tirelessly to convince fellow organizations that J Street should be rejected because of its extreme views. During a one-hour debate, each organization was allowed only 90 seconds to speak. The time limits were rigidly enforced. One east coast organizational source stated that despite the acrimony of prior days, the debate before the vote was orderly and respectful. No staff members of the Conference of Presidents would agree to comment or provide any details during the run-up to the vote. Most close observers were unaware the vote would even be held this afternoon. But by 6:30 p.m. on April 28, 2014, advanced counting revealed that a quorum would indeed assemble today. “Who voted for or against will never be totally known,” stated a source familiar with the vote. The source indicated that the ballots are being kept in a secure place that cannot be accessed. One organizational representative said he was encouraged to vote “no” precisely because the vote was kept secret. A number of organization executives expressed a fear that J Street would attack them publicly if the vote failed.